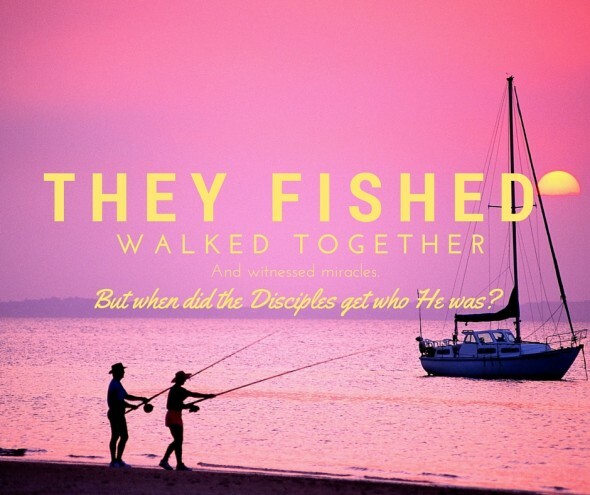 This question has been burning in my mind: When did the first disciples Jesus walked with GET who He was? Was it when they witnessed miracles? Did it happen in the upper room during their last meal with Him? Or was it when Peter blurted out, “You are the Christ, the Son of the Living God” in response to Jesus’ question? There seem to be times they got it. But then what do you do with conversations like the one they had over who was Jesus’ #1? Or times they walked away from their Lord in His hour of greatest need: Peter denied Him, Thomas doubted him, and they all fell asleep on him. This is a big question. I’ve been professing Christ for well over fifty years! Do I get it? Learn make disciples like Jesus did at www.qplace.com/walktheway. Inspired, blessed or challenged by what you heard or read here? Ask your local Christian radio station to add the Walk the Way radio minute to their program line-up by clicking here. And make sure to check out the Walk the Way Facebook page. You can join the community there for daily, vibrant spiritual conversations. We hope you’ll catch Q Place…on the radio!